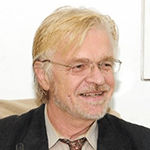 Dr. Hans Jurgen Hoyer is the Secretary General of the International Federation for Engineering Education Societies (IFEES) and the Executive Secretary of the Global Engineering Deans Council (GEDC). Dr. Hoyer initially became involved with IFEES and the GEDC when he served as the Director of International Programs and Strategy for the American Society for Engineering Education. Additionally, Dr. Hoyer is a Resident Scholar in Global Engineering at the Volgenau School of Engineering at George Mason University and is an Honorary Professor at universities in Hungary, India, Kazakhstan and Peru. He is also the co-founder of the Indo-Universal Collaboration for Engineering Education (IUCEE). Prior to 2006, he was CEO of World Links, a spin-off of the World Bank. Dr. Hoyer has several decades of global experience holding executive leadership positions, leading international development programs, fundraising, and shaping policies for global institutions and associations. He was dean of the graduate program at the School for International Training, World Learning and Executive Director of the Executive Training Program for global governmental and NGO leaders in Brattleboro, Vermont. Dr. Hoyer has been a visiting scholar at the Center for International Studies at MIT, a fellow at Harvard’s School of Education and visitor at the Kennedy School of Government. He currently serves on the Governing Board of the International Center for Engineering Education/UNESCO/Tsinghua University; Strategic Advisory Board of UNESCO’s second Ten Year Report on Global Engineering; as Advisory Board member of IUCEE and Information Technology in Higher Education and Training; and Presidential Global Advisor at the South University of Science & Technology and Beihang University School of Engineering, China. Dr. Hoyer has served with Nelson Mandela on the board of directors of El Taller, a global civil society network. He was also on the staff of the Inter American Foundation, served on Hewlett Packard’s e-Inclusion global advisory board, and founding member of the Board of the Engineering for the Americas initiative under the umbrella of the OAS. Born in Berlin, Dr. Hoyer immigrated to the USA as a teenager and earned a Ph.D. at American University. He has lived in more than twenty countries, visited more than 140 countries, is fluent in four languages, and conversant in an additional five. He has written and published on a broad range of subjects, including engineering education. He has written and published on a broad range of subjects related to international development, politics, health, education, and engineering education.